Learning at Pine Rivers Kindy is promoted through play, both emergent and planned learning experiences and interactions. Research suggests that play is the best exercise for the brain as it provides the perfect stimulus needed for brain development. Play is the most effective way for children to discover and learn about the world around them. To ensure we nurture and develop our future generation of thinkers, play at Pine Rivers Kindy is an essential component of our quality Early Childhood Educational experience. 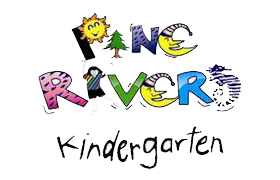 Staff at Pine Rivers Kindy utilise The Queensland Kindergarten Learning Guideline within the kindergarten program. The guideline is based on the Early Years Learning Framework for Australia, and embraces the inclusive vision that, “All children experience learning that is engaging and builds success for life”. This reflects current Early Childhood Educational practices, and caters for each child’s interests as well as introducing new concepts and activities. The connection between indoor/outdoor learning environments allows children to become active participants in their own learning. It provides opportunities for children to choose to move freely from the outdoor space to the indoor space to engage in play based learning experiences, utilising a variety of material and equipment to meet their learning needs and interests. Our space offer rich context for curiosity, wonder, mystery and what “if” thinking. Our Kindergarten boasts 4 classes of 22 children. Children attend a 5 day fortnight, alternating Wednesdays, from 8:45am – 2:45pm, during each State school term for a 5 Day fortnight, We have Capacity for 22 Children Per room 44 Children per day and 88 positions for the week.